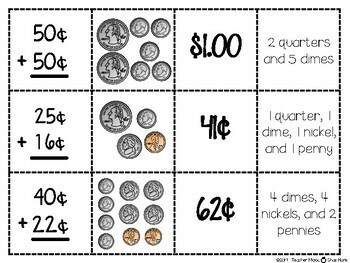 Looking for easy prep math activities for independent work during differentiated math instruction? Look no further! 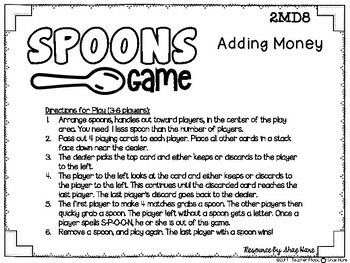 This highly engaging Spoons card game will have your students reinforcing math skills and having a blast! 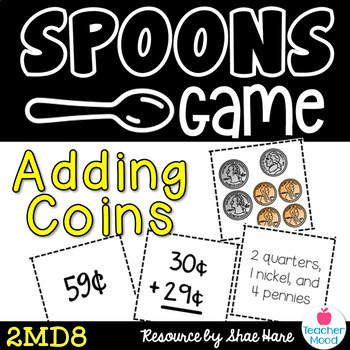 This game addresses standard 2MD8. 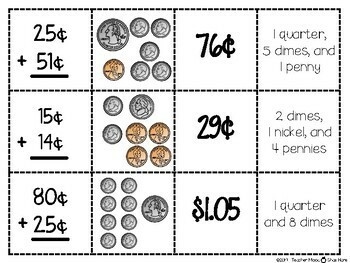 The game cards include a concept card with a vertical addition equation, word form, a visual model, and the sum. See the thumbnail for examples.